For many years, the team at Land Rover Wichita has been proud to serve residents of Kansas and beyond. Our Land Rover dealership near Wellington, KS, offers a wide selection of new and pre-owned Land Rover and Range Rover vehicles, as well as expert Land Rover technicians and a flexible finance team. Visit our dealership at 1525 N Greenwich Rd, Wichita, KS, 67206, today, and let us treat you to the luxury car-buying experience you deserve. Come test-drive your favorite new Land Rover or Range Rover at our dealership near Manhattan, KS. Explore all that the Range Rover or Range Rover Sport can offer you, or opt for something bigger like the Land Rover LR4. We also sell vehicles that offer a modern twist on the classic Land Rover look, such as the Land Rover Discovery Sport and Range Rover Evoque, letting you enjoy timeless style and modern technology all at once. Browse our inventory of used and Certified Pre-Owned Land Rover models, as well as pre-owned vehicles from other top makes. Our Land Rover finance team can help you buy or lease the vehicle you decide on, and they’ll work hard to get you a competitive rate. Land Rover Wichita also functions as a Land Rover service center, and we’ll help you tend to all of your maintenance and repair needs. Schedule your next brake repair, tire rotation or coolant flush with us, and be sure to stay on top of factory-recommended service. We can also help you with your Land Rover and Range Rover repairs, and we sell a variety of Land Rover parts and accessories at our dealership, too. Order online today, and look into our Land Rover prepaid maintenance program, which helps you save and encourages you to fix up your ride. 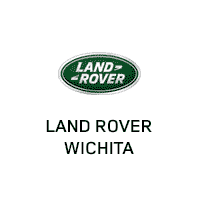 Contact Land Rover Wichita if you have any questions, comments or concerns — we want to hear from you! Our dealership is easy to get to from Salina, Lawrence and from points in Oklahoma like Enid and Ponca City, and we promise to make your experience worth the drive! With the goal of making your service experience as pleasant as possible, we stock a fleet of Land Rover loaner vehicles available to you by appointment and at no charge to you. Everybody knows your vehicle looks the best right after it’s been washed. We provide a full wash every time you come in for service, or any other time you’d like your vehicle to look its best. All of our franchises come with the benefit of a roadside assistance program. If you’re ever in need of help changing a tire, repairing or replacing a battery, or if you’ve run out of fuel, just call and we’ll dispatch a driver immediately, anywhere in the Wichita area. We’ve all been trained to believe there is no such thing as a free lunch! When you choose to wait for your vehicle to complete a service or maintenance visit at one of our dealerships from 11 am to 2 pm, Monday through Friday, you will be able to enjoy a delicious lunch from one of Wichita’s premier gourmet delicatessens, with our compliments! Just place your order ahead of time, either online or on the phone, when making your service appointment. You’ll be able to select from a menu of your favorite choices and on the day of your appointment, your lunch will be delivered waiting for you to enjoy, completely free of charge. One way to make the delivery of a new vehicle even more special is to have us pre-load the vehicle with flowers, an oversized gift card, chocolates, photographs or just about anything you desire. We are pleased to offer high-speed internet on several PCs available for your use while here, plus free WiFi, fax and copier service. You will also find several copies of the day’s Wichita Eagle for you to enjoy with complimentary Starbucks coffee and tea. You can also borrow one of our iPads for you to enjoy. Personalize and enhance your vehicle with high-performance accessories and custom entertainment options, plus enjoy attractive logo apparel and accessories including key chains, shirts, jackets, caps and more. The majority of the pre-owned vehicles we stock are manufacturer-certified and carry the manufacturer’s specific warranty. However, for vehicles that fall just outside the limits of manufacturer certification, we offer our own risk-free certification and protection, beginning with a 155-point safety and quality inspection. Walser Select Pre-Owned Vehicles are protected by a 60-day / 300 mile warranty, regardless of age or miles. We also provide a complimentary vehicle history report and as an additional courtesy to you, all Walser Select Pre-Owned Vehicles are eligible for exchange (full credit toward another Walser Select Pre-Owned Vehicle) within 7 days or 500 miles from the time of purchase, ensuring that your pre-owned vehicle experience is risk-free.